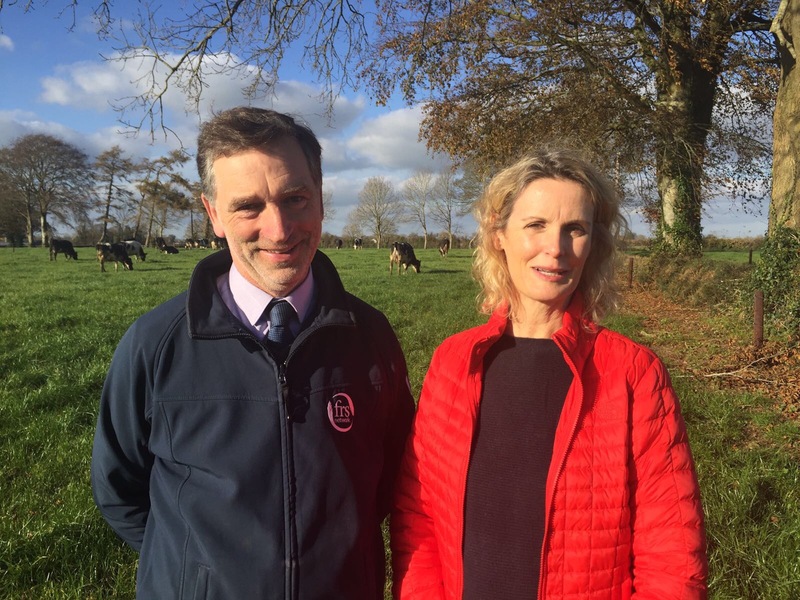 FRS in conjunction with Teagasc have launched a new Dairy Operative Skills Programme and it featured on RTE Ones’, Ear to the Ground. 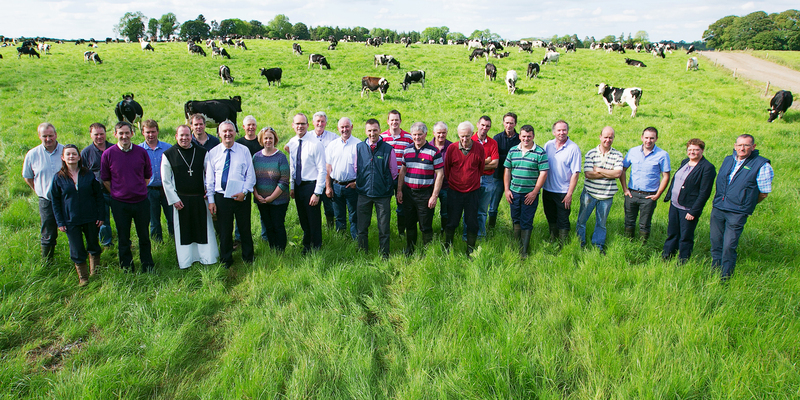 Interested candidates are invited to apply for seasonal work as milkers and farm workers with FRS Farm Relief Services and those who require upskilling will have the unique opportunity to complete a 20 day programme involving 4 training days in a Teagasc College and 16 days practical work experience on host farms organised by FRS. On successful completion of their training, candidates will be offered work through FRS during the peak months of January/February to May/June 2018. The work could potentially earn an individual up to €8,000 or more and participants will be paid during their training. • Dry Stock Farmers – on individual farms where there may be capacity to take on a additional part time role. • Women in Agriculture – who may be interested in work involving milking, calf rearing and livestock husbandry. • Farmers on Farm Assist and Jobseekers – who are in receipt of a DSP payment and who may be interested in farm work. (FRS advise individuals of the need to discuss their individual position with Dept. Social Protection (DSP), as taking up employment may have implications for their DSP allowances). Peter Byrne, CEO, FRS Network said “FRS believe that this project is one of a number of possible options including sourcing labour from abroad that must be examined to source and train potential FRS operators’’. 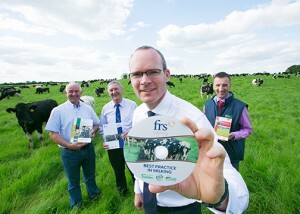 Applicants for the ‘Dairy Operative Skills Programme’ and work with FRS are invited to talk through with their local FRS Office or visit www.frsfarmrelief.ie/careers for more details and to apply online. 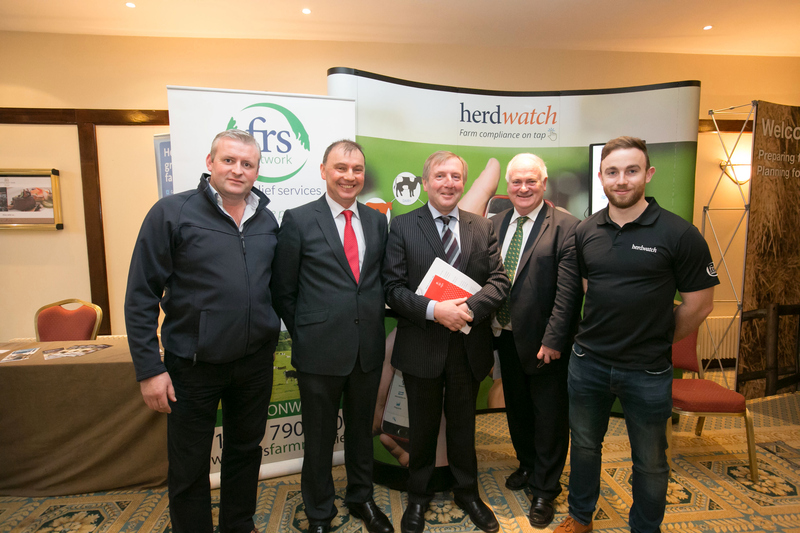 Herdwatch and FRS Farm Relief Services attend the ICMSA AGM on Monday 28 November in the Castletroy Park Hotel, Limerick. Pictured left to right are: Padraig Madden, FRS Network, John Comer, ICMSA President, Minister Michael Creed, Minister of Agriculture, Food and the Marine, Minister John Bruton, former Taoiseach and James Greevy, Herdwatch. Tune in to Countrywide Radio One tomorrow morning (Sat 16) from 8:10am to get the farmer and farm relief worker perspectives on getting work done on the farm. 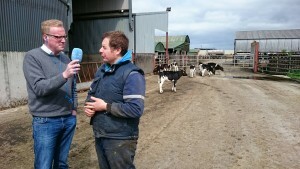 Plus in studio discussion with Peter Byrne, FRS and Darragh McCullough, RTE Presenter, on sourcing farm workers to meet the growing demand. 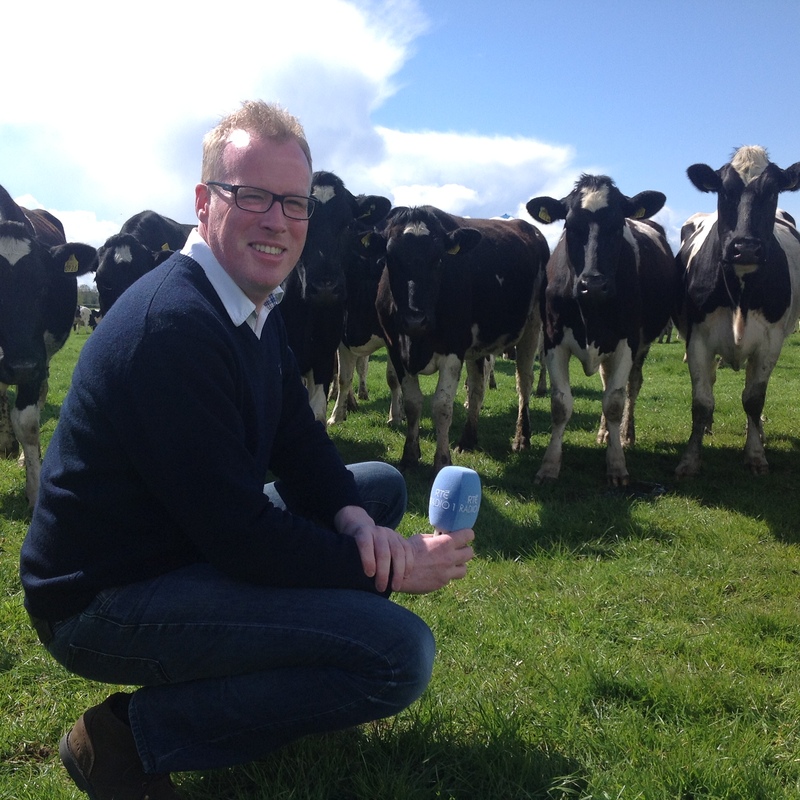 Tune in to Countrywide RTE Radio One with Damien O’Reilly tomrorrow (Sat 16th) @ 8.25 am to hear how Herdwatch is changing the way things are done down on the farm. 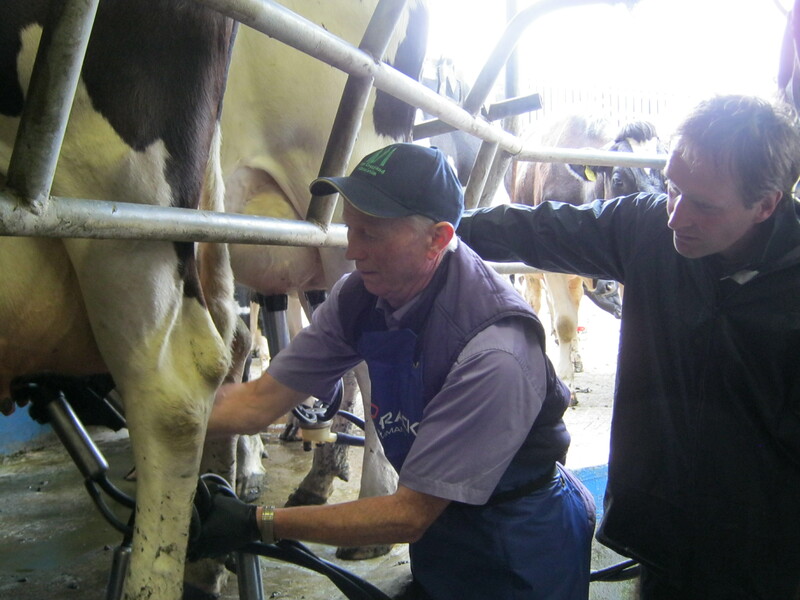 Part Time Farm Workers Required for Milking and General Farm Work: Thurles / Horse & Jockey area.